Ada soalan mengenai Park Avenue Hotel? Bagi para pelawat yang ingin menikmati sepenuhnya pengalaman di London, Kadimah Hotel merupakan pilihan tepat. Dari sini, tetamu boleh menikmati akses mudah kepada semua yang bandar meriah ini boleh tawarkan. Hotel moden ini berada di sekitar kawasan tarikan bandar yang popular seperti St Mary's Stoke Newington, Knit with attitude, Hang-Up Pictures. Kemudahan dan perkhidmatan yang disediakan oleh Kadimah Hotel memastikan penginapan yang menyenangkan bagi para tetamu. Pilihan kemudahan kelas atasan seperti Wi-Fi percuma semua bilik, simpanan bagasi, Wi-Fi di tempat awam, tempat letak kereta, bilik keluarga boleh dinikmati di hotel. Kadimah Hotel mengandungi 15 bilik yang dihias indah dan menawarkan almari, karpet, lantai kayu/parket, televisyen skrin rata, internet wayarles. Di samping itu, pihak hotel menawarkan aktiviti rekreasi untuk memastikan anda mempunyai perkara untuk dilakukan sepanjang penginapan anda. 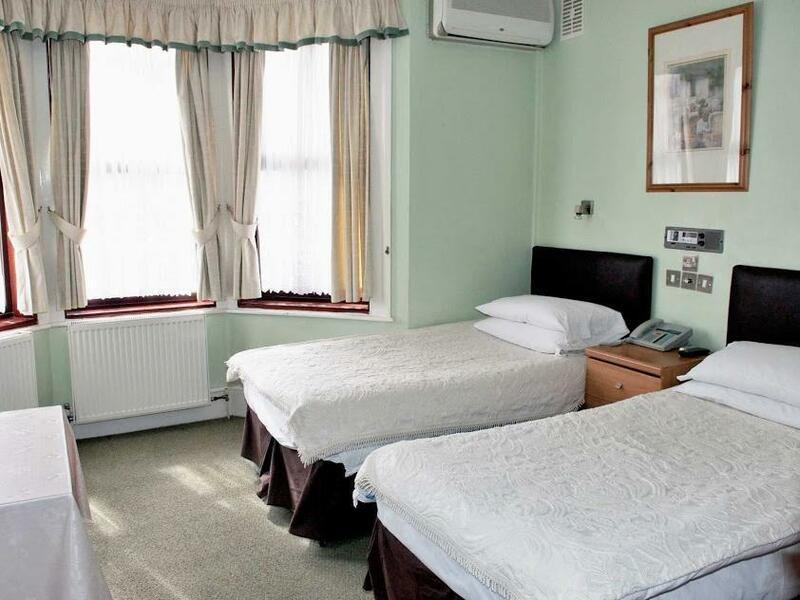 Apa juga tujuan lawatan, Kadimah Hotel merupakan pilihan yang terbaik bagi penginapan anda di London. Daftar masuk awal disediakan hanya jika diaturkan lebih awal. Sila ambil perhatian bahawa pada hari Sabtu daftar masuk adalah pada pukul, walaupun tetamu boleh menghubungi hotel untuk mengaturkan daftar-masuk awal. Daftar masuk pada hari Sabtu bermula . Kanak-kanak bawah 16 tahun akan dicaj GBP 15 setiap kanak-kanak semalam termasuk katil tambahan. It's vert basic needs updating saying that it's very clean comfortable. 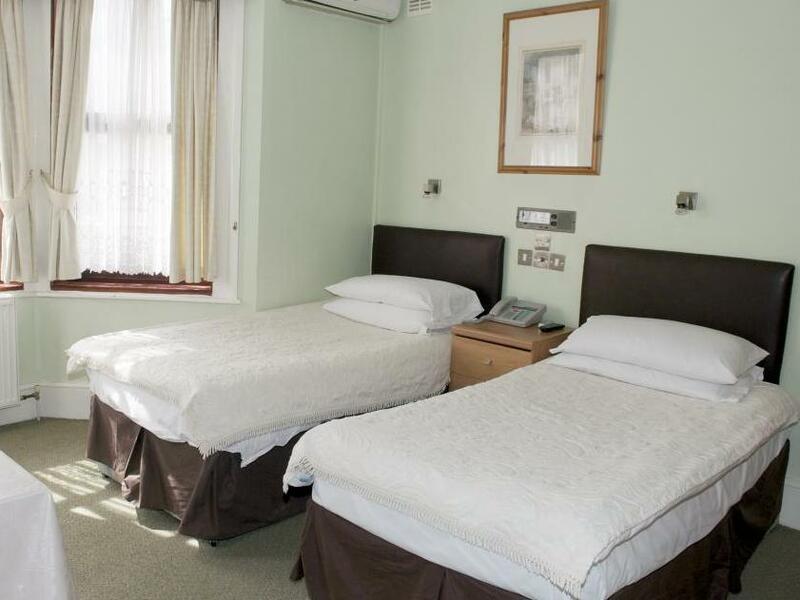 To win changed daily .Beds good clean .Room size very good has trouser press iron hairdryer fridge but still basic .Really all you do is sleep and shower in a hotel room , well this one .Not for a romantic break I'm afraid . horrible and one of the worst stay experienced in my lfe. I walked into the hotel, no staff at reception. I took the envelope with my name on it, just a key inside, no note. I found my room. Room was clean with ensuite. I checked the Internet worked ok and the tv. Internet was ok, tv did not work. I phoned for assistance many times over 30 minutes, no answer. I went out and bought new batteries for the remote. Still didn't work, so tried to get hold of someone again-nobody on phone or in person. Worked out tv-got it working. As a single female I felt vulnerable at night, due to no staff about. The fire exit was wedged open with the fire extinguisher and the front door was wide open all the time. The bolt to lock my door from the inside was also broken. Not a good experience as a lone traveller in a city. Had a lovely stay. This is a nice hotel in quiet neighborhood. Good size and clean rooms. Very friendly and accommodating staff. 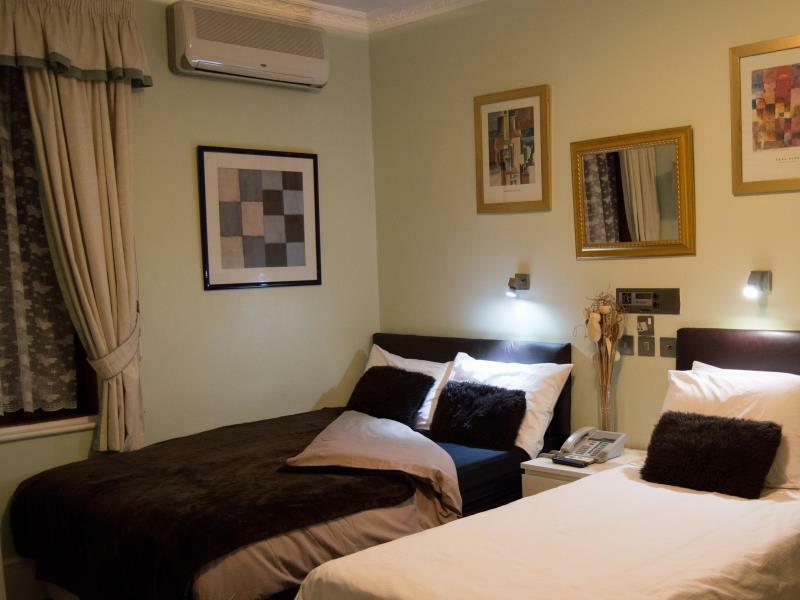 The rooms come with private shower, flat screen TV minibar and a electric kettle for making tea and coffee. The hotel looks shabby from the outside and sort of like a boarding house when you walk in the front door. The room was not fancy but it was clean and comfortable. The staff went out of their way to be helpful. Breakfast is included but it is nothing to write home about, the coffee was instant, cereal choices limited and some items I could not identify. There were none. This hotel is CRAP! There was no reception. The door was left open during the day till night. Everybody could come inside without being disturbed. The owner simply left a mobile number to be called in case of problems. One night the police entered the hotel looking for someone. There was noise, people coming in and out, shouting and screaming. It was a nightmare. Twice they didn't make up my room. I would suggest to avoid it at all costs. Surprisingly quiet during the evening and night. You have to use both to get to the hotel, but it's easy to navigate. 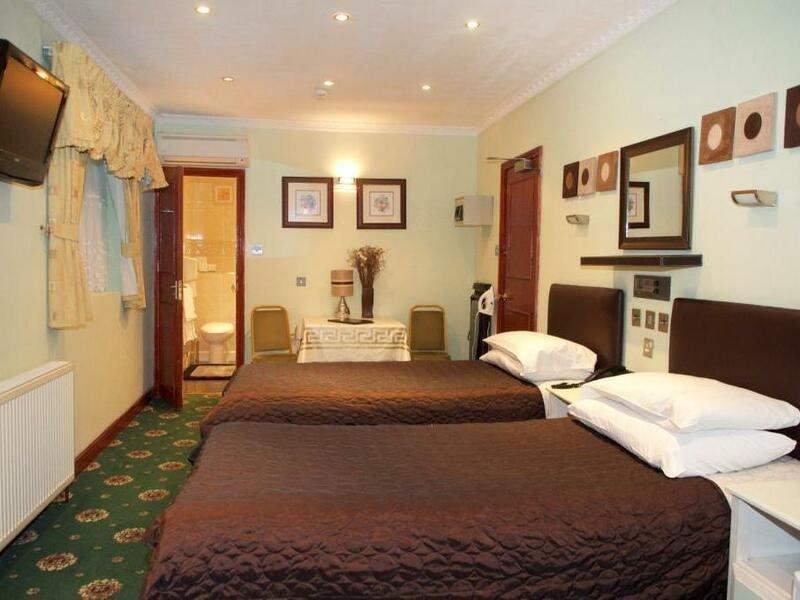 The hotel's site provides a information about how to get there from the airports; Heathrow, Gatwick and Stansted. I found it very easy to relax in my room. 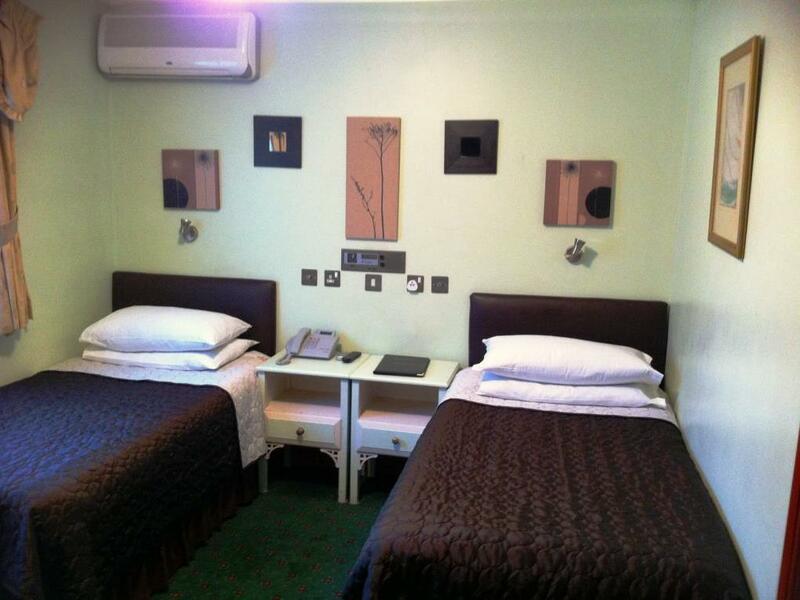 The rooms are clean and the staff are very friendly and helpful. 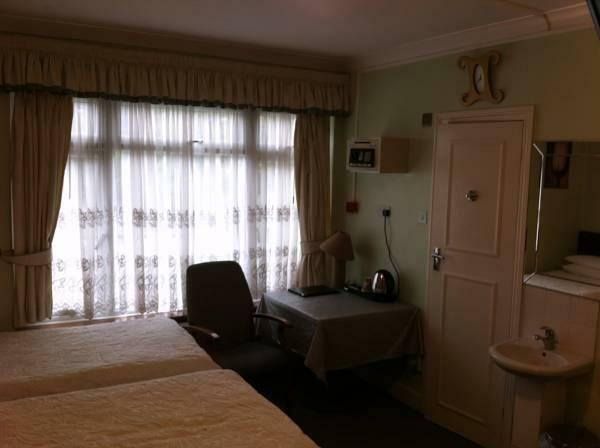 well situated at stamford hill, short bus ride from two tube stations, short walk from stoke ewington. looks pretty unprepossessing on the outside but the room was large and clean, beds comfy, there was a fridge, night safe and the shower was fine after running the water for a few minutes. didn't eat the breakfast so couldn't recommend or otherwise. the management and staff were freindly. 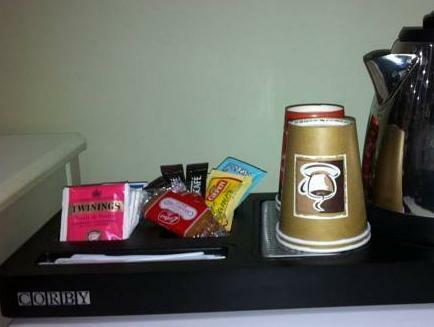 good budget hotel. just what we needed for our stay in london very reasonably priced, the off road parking big advantage.was central to all areas that we needed to visit. La camera è ben attrezzata. Quest'anno la colazione era ridotta rispetto allo scorso anno. Hotel con falta de limpieza exterior como comedor, wc comedor, desayuno escaso en variedad. l'hôtel a dû être bien il y a longtemps. les photos descriptives doivent dater car elles ne reflètent pas la réalité. le petit déjeuner se compose de café en poudre (servi dans des gobelets en plastique), de poisson, d'olives, avec certes du pain. et le samedi matin, les assiettes sont en plastique. il n'est pas rare, le matin, de retrouver des miettes de la veille sur les tables. et comme cet hôtel fait aussi restaurant, il y a une forte odeur de friture qui embaume jusque dans les étages. les chambres, quant à elles, sont correctes, propres et confortables. la responsable est gentille et serviable. pour résumer, je n'y retournerais pas. אשת הקבלה נורא לא נעימה! נוראית! מעבר לזה, הדלת הראשית רוב הזמן נעולה ולא תמיד הקוד בכניסה עובד. היתרון היחיד הוא שהחדר, עם זה שהוא ממש קטן, סביר בהחלט. נקי, יש מים חמים במקלחת ורדיאטור ליד המיטה. בשורה התחתונה לא ממליץ.